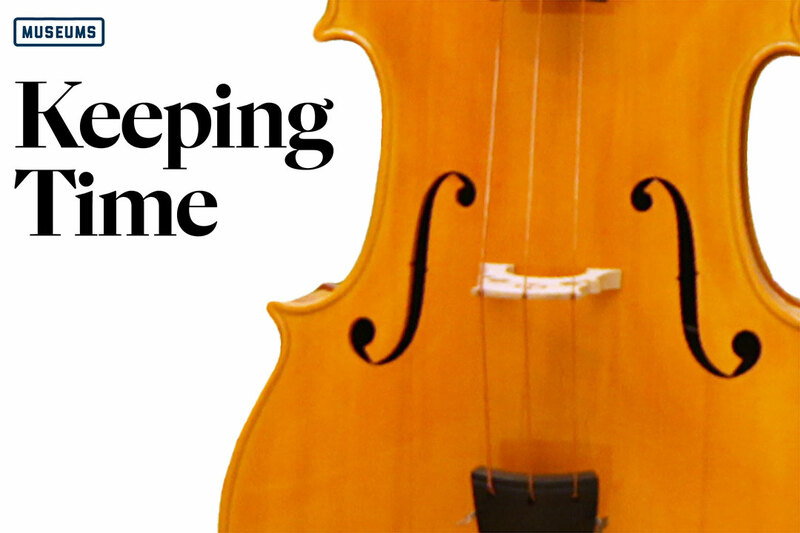 April Salomon, MA '08, dabbled in music as a kid and recently took up the ukulele. But if she wanted to learn to play a 10-string Peruvian guitar built from the hairy shell of an armadillo, or to plunk out a few notes on the piano John Lennon used to write "Imagine," she would know where to find them. In November 2014, Ms. Salomon became the executive director of the Musical Instrument Museum in Phoenix and the steward of more than 15,000 pieces from all eras and ends of the planet, from the Neolithic period to Taylor Swift. The 200,000-square-foot, desert-paletted modernist structure includes 80,000 square feet for exhibitions and a 300-seat theater. "The Musical Instrument Museum was one of the most unique projects and/or opportunities that I'd ever encountered," she says. "I never imagined that that would ultimately be the space that I would be in for as long as I have. But it's a one-of-a-kind, unlike-anything-in-the world situation." There are other music museums: There's one in Brussels and, of course, the Rock and Roll Hall of Fame in Cleveland. But while the Brussels museum has a Western-instrument lean, and the Rock and Roll Hall of Fame specializes in (surprise) rock and roll, the MIM does it all. An interest in art history led to a career in museums for Ms. Salomon. (She says she's never been especially musical.) Since starting at the MIM as executive assistant to the director and president in 2007, the year the museum was founded, she has worked her way up to the helm, overseeing a staff of 100 and 500 volunteers and a collection that has grown fivefold in as many years. Invented around 1850 by French luthier Jean- Baptiste Vuillaume, the original octobasse is in a Paris museum. This is one of three modern replicas. 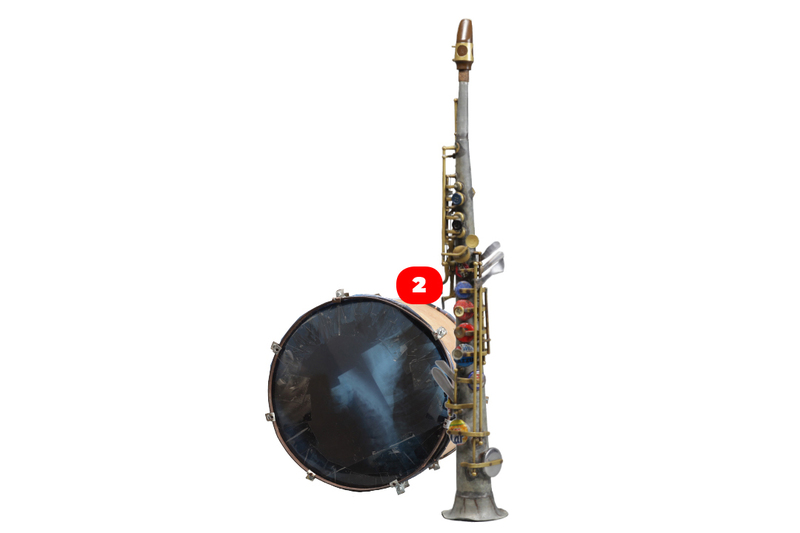 More than 12 feet tall, it plays a note so low that it’s undetectable to the human ear. Around 2009 in Cateura, Paraguay, a music teacher gathered a team to plunder the landfill to build “recycled” instruments. Now there’s a thriving music school and a youth orchestra that performs internationally. This soprano sax is made from a water pipe, bottle caps, buttons and the handles of spoons and forks. The drum is a shipping crate, x-ray film and scrap metal. 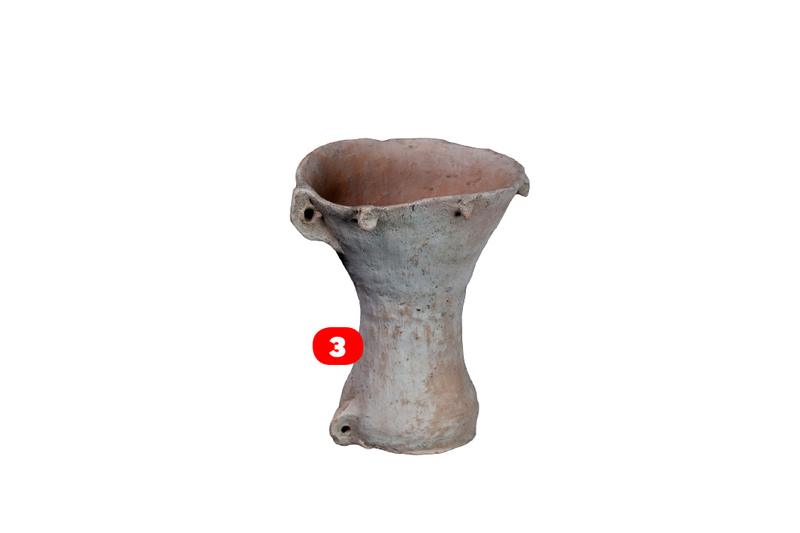 Found in Central China, it’s 4,000 to 7,000 years old. The drumhead is made from snakeskin or frog and was played by the Yangshao people for rituals or religious ceremonies. 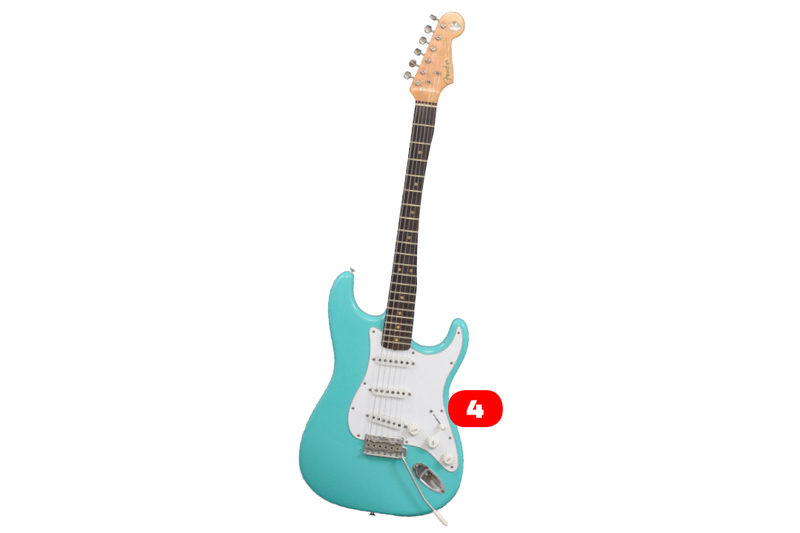 Joey Ramone or Ed Stasium—the legendary producer who also worked with the Talking Heads—played this 1963 Stratocaster guitar on every Ramones album Mr. Stasium engineered or produced. 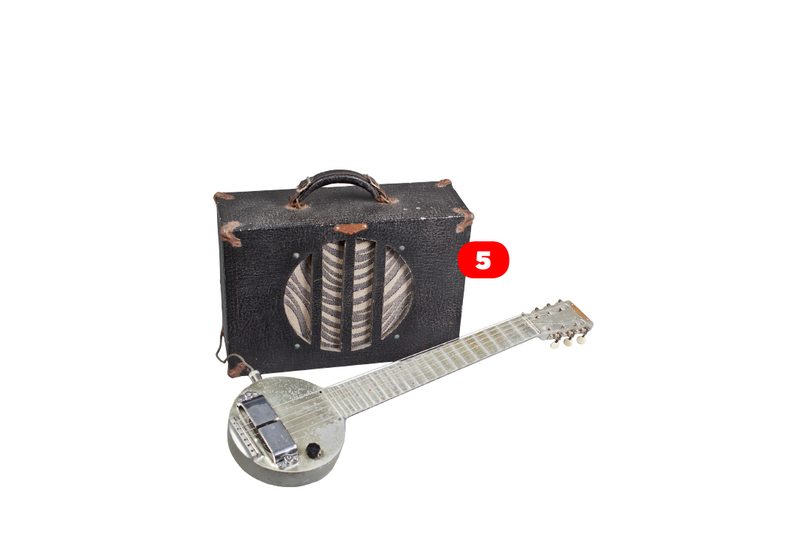 This 1934 lapsteel guitar, nicknamed the “frying pan,” is among the 20th century’s most important guitars. 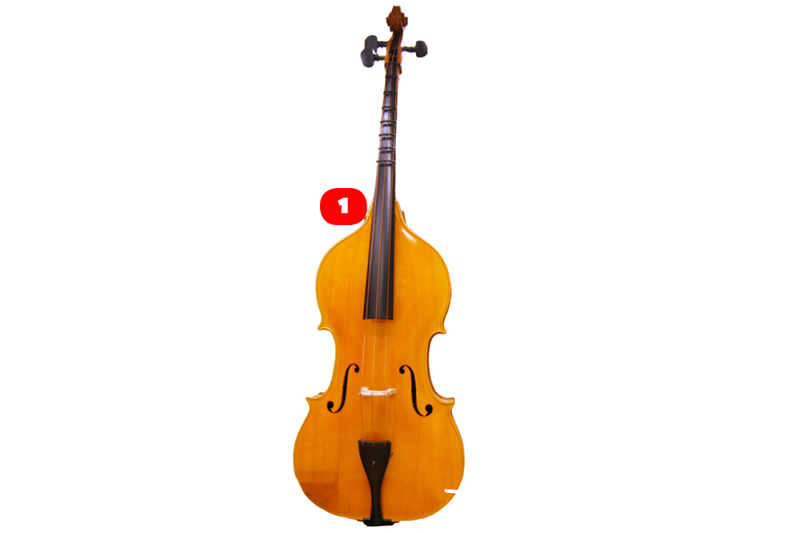 It was the first solidbody model and the first commercially successful electric string instrument. *It’s now spelled Rickenbacker. John Lennon played one on the The Ed Sullivan Show in 1964.